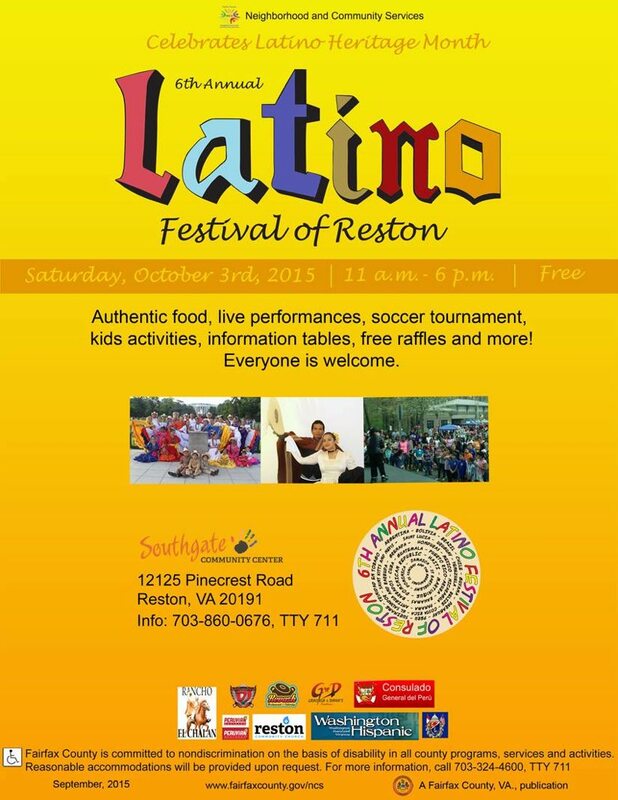 Update, Thursday 3:40 p.m.: With several inches of rain in the forecast for Saturday, the annual Latino Festival of Reston has been canceled. Original story: The community is invited to celebrate Latin American culture at the sixth annual Latino Festival of Reston. The free festival is Saturday, 11 a.m. to 2 p.m. at Southgate Community Center, 12125 Pinecrest Road. There will be games, face painting, moon bounces, music and entertainment, and a youth 4-on-4 soccer tournament. There will also be community resources, such as health screenings, and exxhibits from various agencies providing information about the programs and services they offer. Food will be available for purchase from participating vendors.